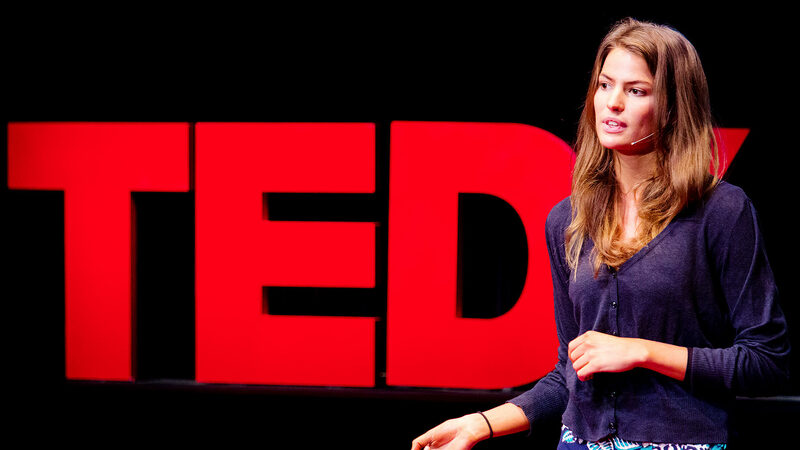 This week, I finally had a chance to view Cameron Russell’s TED Talk, given in October 2012. In it, she offers a very personal view about the privilege and social complexities of being commercially beautiful. Russell is a professional model. She is also the daughter of Robin Chase, a.k.a. Zipcar’s founder. She attended the prestigious and private Commonwealth School, then went on to obtain an Ivy League degree in economics and political science. These details are not irrelevant to a talk about privilege. I think her underlying message is: “I’m lucky to be pretty, but my career makes me insecure. Looks aren’t everything.” I imagine that sometime in the not-so-distant future, Russell will try for a career change – probably politics. She’s admirably ambitious and has a degree to support that ambition. This talk certainly won’t hurt those prospects. More importantly, her heritage – family wealth, personal connections and physical attributes – may take her far. I’d wish her luck, but my wish seems better applied on someone who will need it more. You won’t be surprised: I’m torn about this talk. It’s very charming, very genuine, and clearly well-intentioned. Russell worked very thoughtfully, within her natural limitations, to share something personal and difficult. That’s as much as any person can do to prepare for ten minutes onstage. For that, I join many in applauding her. It’s not her responsibility to apologize for or publicly unpack her every privilege. I haven’t even privately unpacked a fraction of my own privilege, so I’m in no position to demand open enlightenment from anyone else. I’m not torn about what she intends – I’m torn about what this talk will do, regardless of what she intends. Let me be clear, however: I don’t think hers was a mean feat. In fact, it was a personal triumph. Yet I question whether this speech will give us a larger, social triumph. Of the 383 (and counting) comments under her TED video, a strong majority already – and prematurely – credit Russell for deepening dialogue. I’m not sure she has. Were the ills of the modeling industry not well-documented before this talk? Were the image-driven obsessions of our society not apparent before this talk? In fact, they were. This dialogue was already happening. So what we credit her for – deepening dialogue – isn’t quite accurate. What we’re really crediting her for – which we all hesitate to state aloud – is for debunking the myth of commercial beauty while looking so commercially beautiful. We are crediting her for the cognitive dissonance. For her persona. She talks from a place beyond her exterior, but she gets to do so because of her exterior. This is not a trivial point, because we see her personal triumph as more than a personal one. We credit her for being heroic. She has martyred her own privilege and profession for the sake of delivering a message. But in fact what we take away from this speech – generally – isn’t about the ills of modeling or of obsessions with (white) beauty. That much was already obvious before her talk. What we take away from this speech is that Cameron Russell is a heroine. And so I say: “I’m not torn about what she intends – I’m torn about what this talk will do, regardless of what she intends.” This is not within her control. Personal triumphs don’t always translate into greater progress – it’s not her fault that she overshadows her own message. It’s not her fault that people have spent more time lauding her courage and less time considering what it means to not have her privilege. We praise her for being bravely vulnerable onstage. We don’t pay much attention to how privileged she is to have a stage at all. Many people – who may not share her beauty, or wealth, or education – don’t get to tell their stories in a public forum. By the end of her talk, we’re not thinking about those people. We’re thinking about her. Thus, her heroism overshadows her message. You see, ours is a culture preoccupied with heroism and martyrdom. A cause is rarely more glorious than its leader – which becomes problematic when we revere a leader and forget her cause. While Russell’s talk devoted a few minutes to marginalized men and women who don’t share her privilege, much of that message gets overshadowed by her persona. We applaud the way she offers us her insecurity. Look, we seem to say. Look at how amazing she is. Perhaps we even admire her martyrdom for changing into flats and a longer dress. Wow! What a significant sacrifice for a beautiful, educated, wealthy woman. Is it? From her personal perspective – yes. She lives to sell an image, and this talk risks the very foundations of that image. But relatively – no. The lowest point to which she may fall is still higher than the average person’s greatest reach. This talk is one great leap for man, but only one small step for mankind. Important? Yes. Overstated? Yes. Her heroism distracts us from the reality: That, at the end of the talk, Cameron Russell is still a beautiful, educated, wealthy woman. And those who don’t share her privilege still don’t share it. I fear we’ll overstate her martyrdom and forget her message. She – not those without her privilege – may become the subject of our focus. Mind you, I don’t think that’s what she wants us to take away. Not at all. But inevitably, we already have. Having worked in the education nonprofit space, I see this strange phenomenon all around me. That even charming, genuine and well-intentioned leaders overshadow their own causes and the students they dream of helping. I imagine this dilemma exists for every cause. At the Kennedy School (my graduate institution), we are in the business of building leaders, of crafting substantial minds and attractive personas. Cameron Russell’s talk is something Kennedy School students might aspire to – to one day command a room, share something we feel passionately about, and enjoy posterity in a respected digital archive. That, in a nutshell, is the HKS dream. Before that day comes, I urge us to consider heroism and its distractions. Sometimes, you see, people become invested in a symbol rather than what it symbolizes. Our graduate training is two-fold – in style and in substance. We risk our persona outshining our projects. What people take away from who we are and what we say won’t be entirely within our control. But this, I believe, means we must stay truthful about the credit we merit. Leadership isn’t just knowing how to lead. It’s also knowing why some people get to, while others don’t. Cameron Russell reminds me that those who lead have our attention. And they have our attention because, somewhere along the way – if not right at the start – they won a lottery (maybe several). And at the end of the day, it’s where we place our attention – on a cause or on its leader – that determines whether that leader has given us anything of lasting value. So, Russell’s was a nice talk. A personal triumph. It was brave. But I’m not sure it was – or will be – more than that. We owe her credit where credit is due, but not where it isn’t.